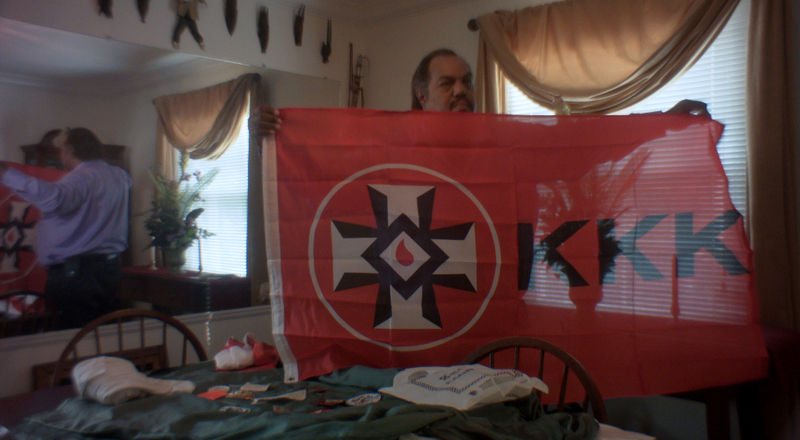 Musician Daryl Davis meets with Ku Klux Klan members and neo-Nazis to challenge their viewpoints. Accidental Courtesy is a thought provoking documentary that follows the journey of one man, Daryl Davis as he tries to bridge the gap between himself, who is African-American and white supremacists by engaging them in face to face conversations. The documentary includes some pretty interesting interviews from both sides of the conversations. Especially interesting was the sit down between Daryl and Black Lives Matter activists in Maryland, showing that the documentary tries to be as much as possible no holds barred. However since the documentary is written by Daryl Davis, there is some slight bias that even the BLM activists are quick to point out despite if they are correct or not. 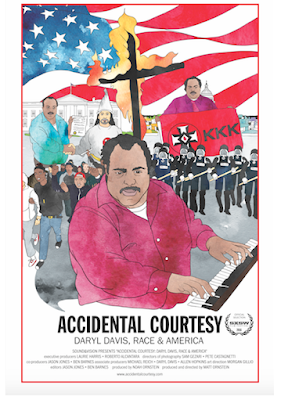 The film goes through important historical events using old footage, from marches from Martin Luther King Jr, to early interviews between Daryl and KKK members. It is quite a positive picture that Daryl paints both for himself and his mission. There is little push back from his interviewees with the most surprisingly from BLM activists as mentioned before. Overall, I would recommend this film if you have an interest in this type of genre. The film does a great job in providing a history lesson on the "race" problem in America and how relevant it still is, decades after the assassination of Martin Luther King Jr.. The repetitiveness of his message however makes the documentary a little stale in the middle. With the ending piece between Daryl and the BLM activists more entertaining with a conclusion to the film with Daryl's thoughts on the recent election. The film is interesting, but ultimately may not be for everyone despite a good lesson to be learned from the various interviewees and Daryl.